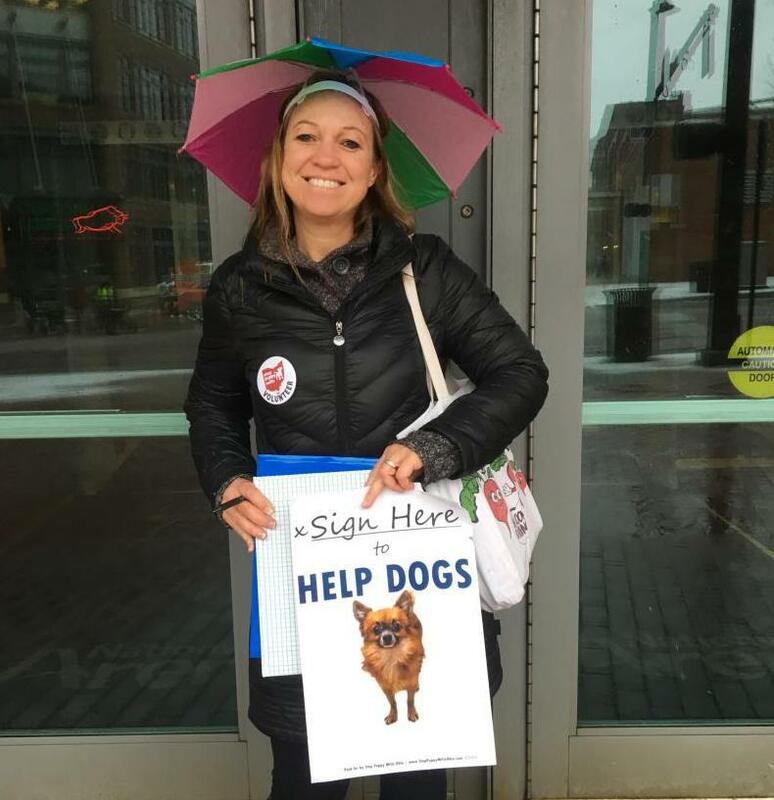 A volunteer collects signatures for the Stop Puppy Mills amendment outside Nationwide Arena in Columbus in February. New regulations on so-called puppy mills will take effect in a few weeks, with Gov. John Kasich signing a bill into law on Friday. And that has animal rights activists who had been wanting to put a puppy mill crackdown before voters calling off their campaign. Activists had wanted a constitutional amendment on high volume dog breeders. But campaigns are expensive. 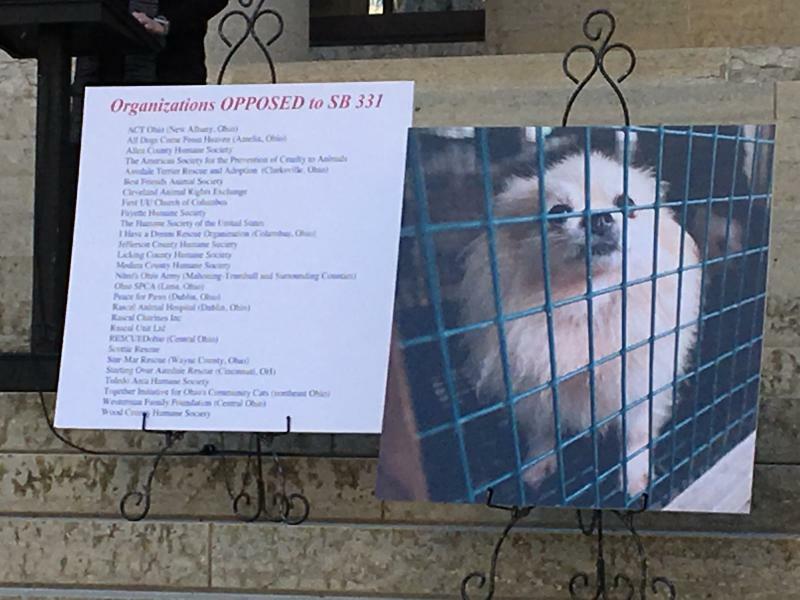 In May, animal rights advocates pushed for 13 amendments to the puppy mill bill, including food twice a day and continuous access to water, at least 30 minutes of exercise, new rules for cages and limits on how many times female dogs can be bred. But they continued to collect signatures for a ballot issue in case the law didn’t pass. 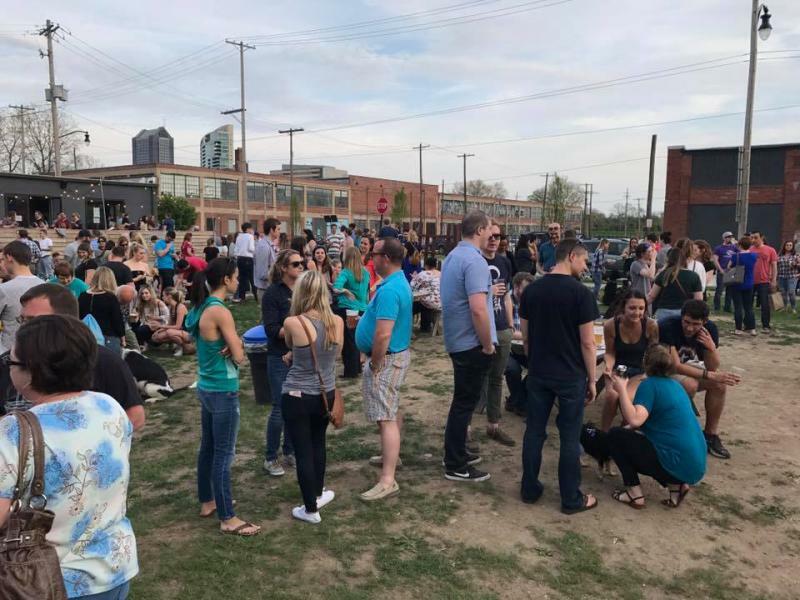 A bill that would allow dogs on restaurant patios is moving its way through the Senate. Business groups see this as a way to let companies expand their creativity. For the next seven months, a few groups will be circulating petitions, trying to get enough valid signatures to put specific issues on the 2018 general ballot. 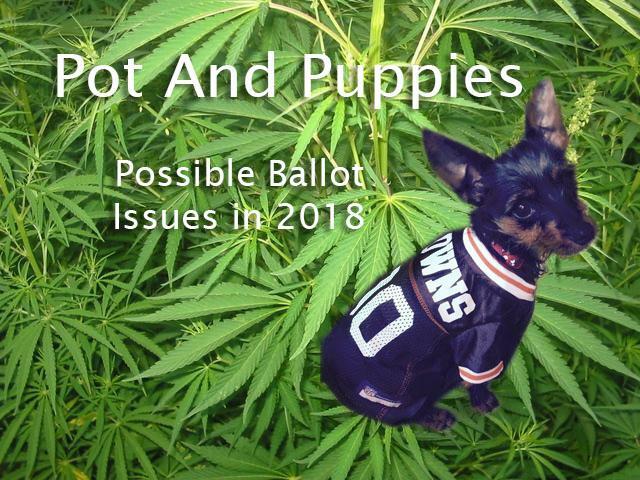 The green light has been given to the group that wants to begin collecting signatures to put a proposed constitutional amendment involving so-called puppy mills on the November 2018 ballot. 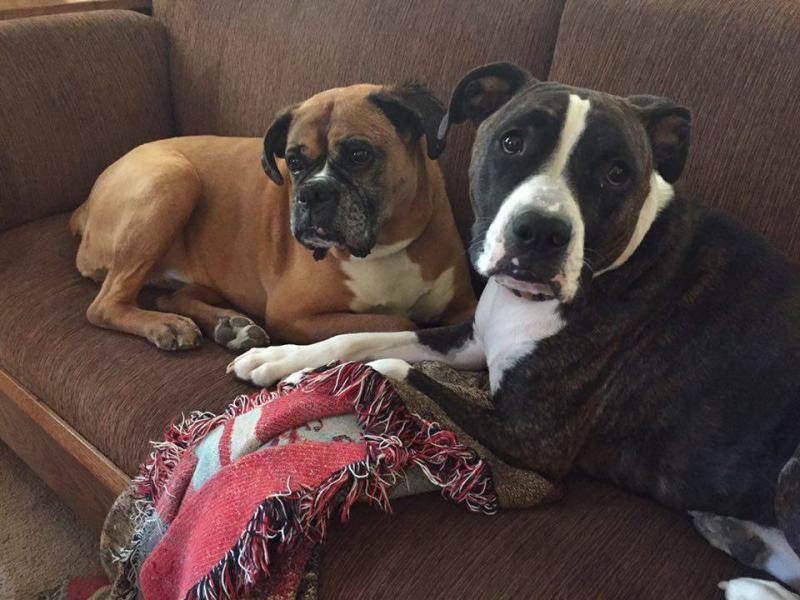 Opponents of commercial dog breeding facilities known as puppy mills say the state’s current laws don’t protect animals enough. So they are trying to put an issue before Ohio voters to let them decide. 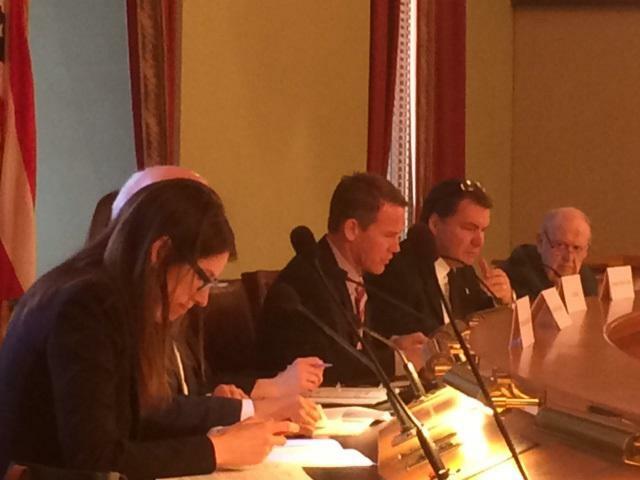 The Ohio House has passed a bill to help pets who need emergency medical care. Ohio Public Radio’s Jo Ingles explains.